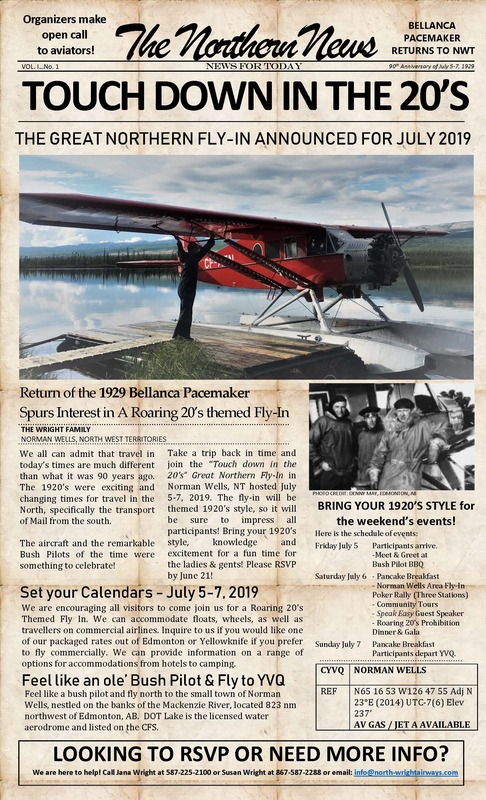 Come celebrate with North-Wright Airways on July 5-7, 2019 in Norman Wells, NWT. We will be helping to host the 1920’s themed fly-in with accommodation, meals and a party! Wheeled and float planes are welcome as well as travellers on commercial flights.